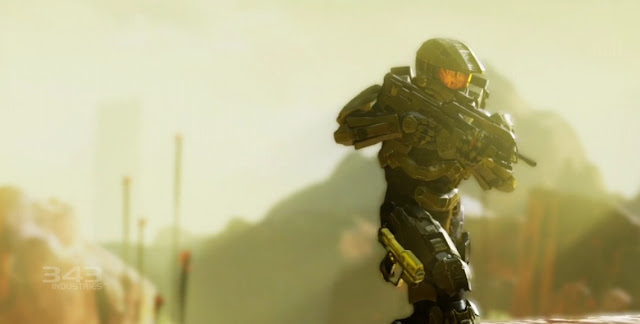 NZ Gamer did an interview with Mr Josh Holmes regards Halo 4. I was pleased to this question about in game finds for the campaign. In the game itself, are there discoverable lore elements to find, like your team added to last year's Halo remake? Yes there are. There’s a lot of secondary storytelling, more so than any past Halo game. A lot of that is credited to our narrative director who joined us from BioWare*. He approached the storytelling of finding different ways of telling story within the experience without putting it in that primary channel where it gets in the way of the action. It’s there for the players that want to explore. In the first mission there are a couple of terminals that you can interact with, and depending on those interactions, there’s subtle branching dialogue later. There’s a lot of little subtle things like that which will very subtly change the experience.